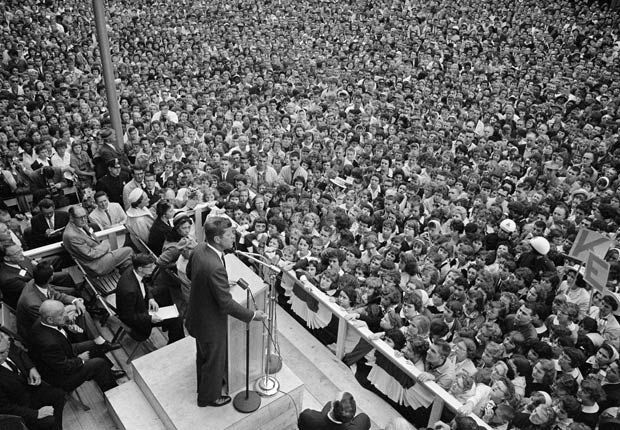 As the campaign was entering it’s last weeks, JFK drew a crowd of 40,000 people in Erie, Pennsylvania. He spoke to a crowd in front of the Lawrence Hotel at 10th and Peach streets of mostly young people, including many who were let off from their Catholic schools for the day. He also met with seniors from Cathedral Prep school.